Easy Pha-max Wheatgrass is cultivated using an award winning Indoor Organic Aeroponic Cultivation (IOAC) – system that’s patented internationally. 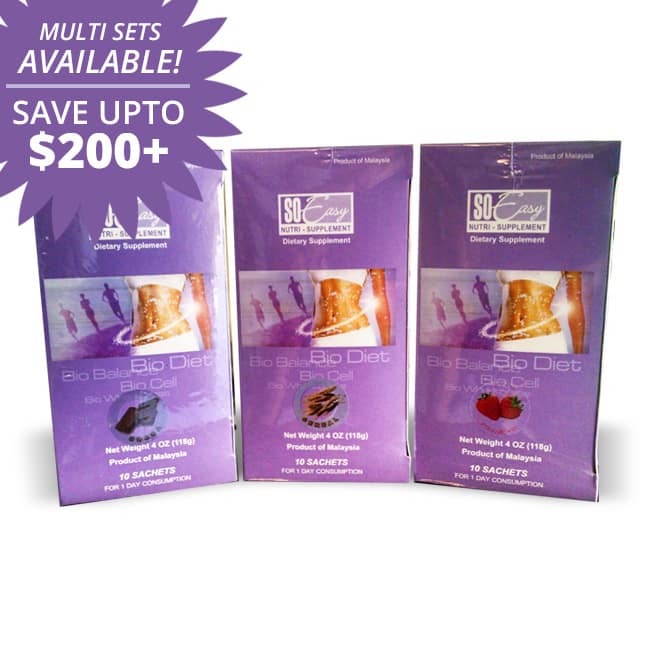 It ensures you of perfectly clean wheatgrass that is free from bacteria, mold and chemicals. 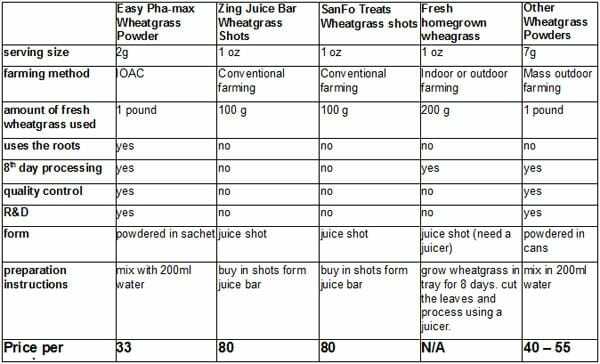 IOAC allows us to grow our wheatgrass to its peak nutrient potential. We include the roots in our product for more nutritional benefits. The cold temperature also forces our wheatgrass to produce a phytochemical known as Abscissic Acid. 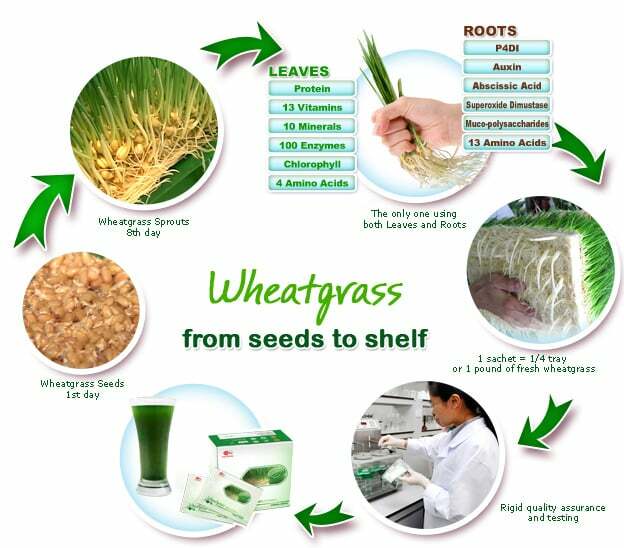 The assurance of the nutrients found in our wheatgrass can also be attributed to the timing of its harvest. Easy Pha-max wheatgrass is lifted exactly on its eight day of growth. During this day, the wheatgrass is on its peak thus yielding the most amounts of nutrients ready to be maximized. The same cannot be said of other brands’ wheatgrass. From this process is where the 2 grams of powdered Easy Pha-max wheatgrass in sachet come from. That amount is equivalent to a pound of raw wheatgrass with leaves and roots making it far more concentrated than the usual wheatgrass one might encounter in the market. 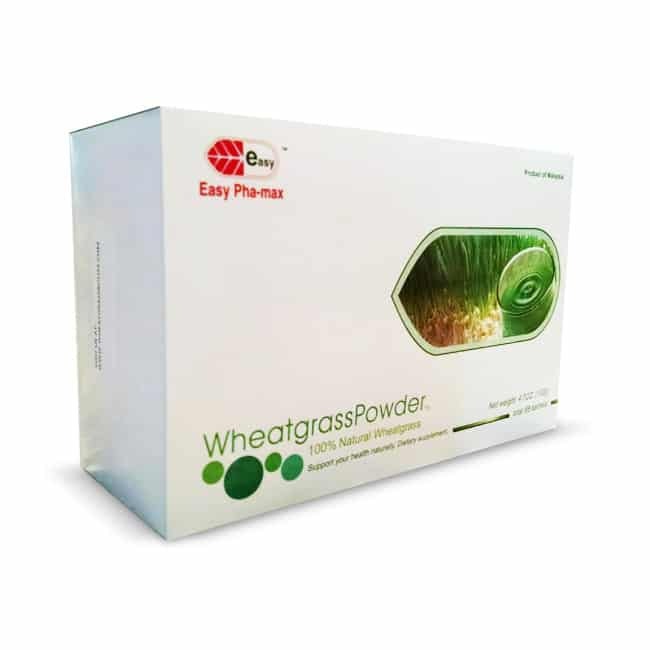 The fresh wheatgrass is dried and processed through centrifugation and turned into a fine powder for ease of consumption and the convenience of our consumers.